A natural part of getting older is not understanding why kids don’t like all the same things you do. 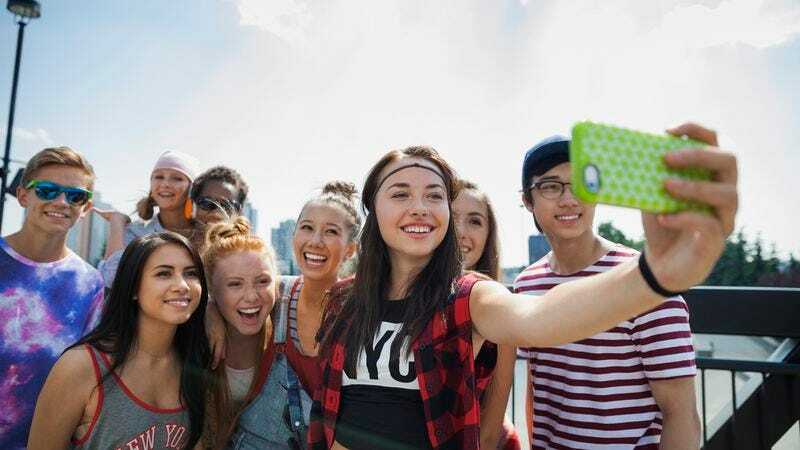 Grasping what teenagers dig is difficult, which is why studies like the Piper Jaffray Taking Stock With Teens Survey are so helpful. There’s some familiar faces in the study–Nike and American Eagle are as popular as ever, apparently–while other statistics reveal the proliferation of online culture, with Netflix and YouTube both surpassing cable TV as the preferred source of entertainment. At the top of the list? Starbucks, duh. But it’s not the old standbys nipping at the coffee chain’s heels. Despite its very public e.coli scare and financial troubles, recently profiled in this fascinating Fast Company profile, Chipotle remains in the number two spot with 11 percent of the teenage market. Schwing! Just trailing behind is Chick-fil-A, proving that perhaps we’ve persevered beyond the chain’s troublesome past and that, in this bizarre alternate reality we’ve stumbled into, Chick-fil-A is actually considered too cool for school. Far out! In keeping with its steadily diminishing profile, McDonald’s has gobbled up just three percent of the market, tied with Taco Bell, Olive Garden and Panera Bread. Booyakasha! The semi-annual survey engages approximately 10,000 teens that average around 16 years of age, all of whom think Kenny Rogers Roasters is, like, so five minutes ago.